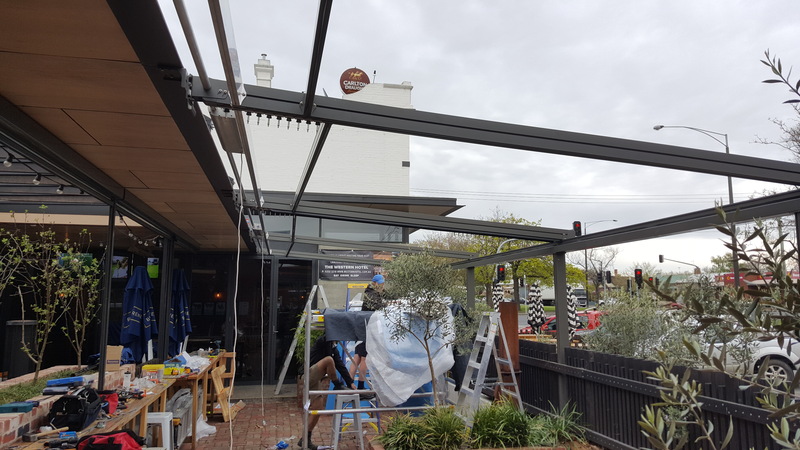 The Hotel had a few limitations in it’s outdoor areas so they came to us to give them effective shade solutions to make those outdoor areas more practical and more patron friendly in inclement weather conditions. The hotel had recently underwent a massive renovation both internally and externally but like most builders and architects they neglect the outdoor areas and the impact those areas have on getting patrons thru the door. 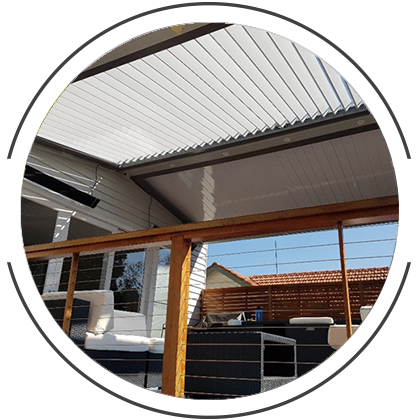 This job was full execution including the thorough design, engineering, building permit, fabrications and installation. 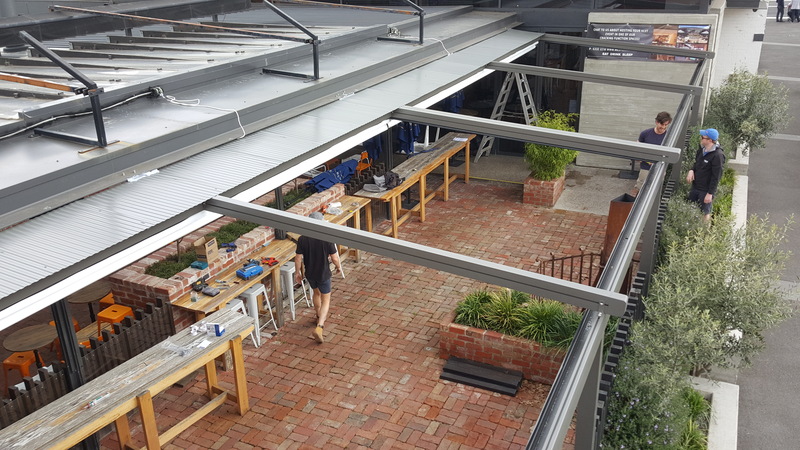 The two retractable roof systems installed were 7.5m x 5m projection with the high side butting into an existing steel beam. 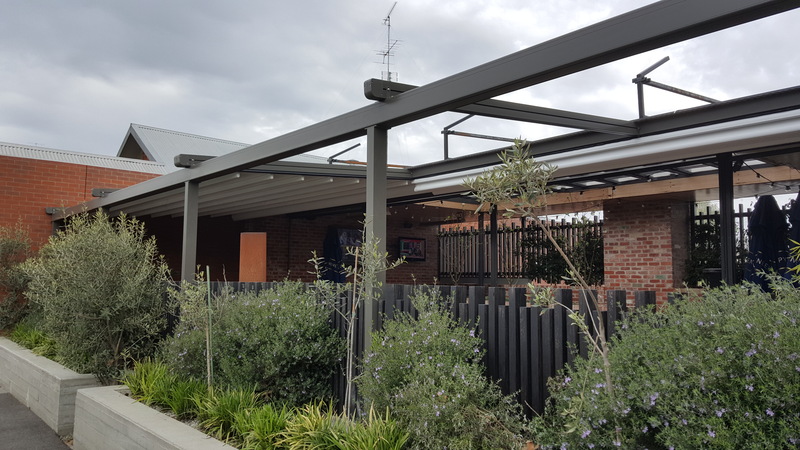 Our posts on the projected low side were installed transparently atop of an existing concrete plinth and behind an existing architectural fence. 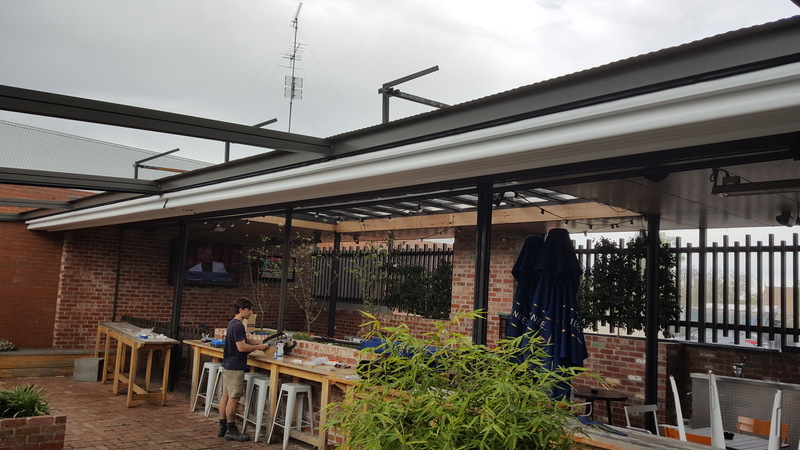 Our gutter sat atop of the posts catching the rafter beams and the water run off from the roofs exited away from the beer garden to existing drains. 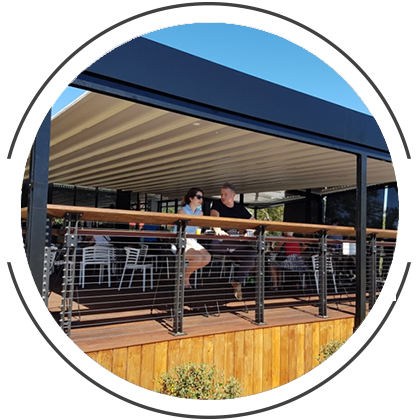 The retractable roofs have totally waterproofed this area and made the area so highly marketable for the hotel in selling the area such things as events and functions. 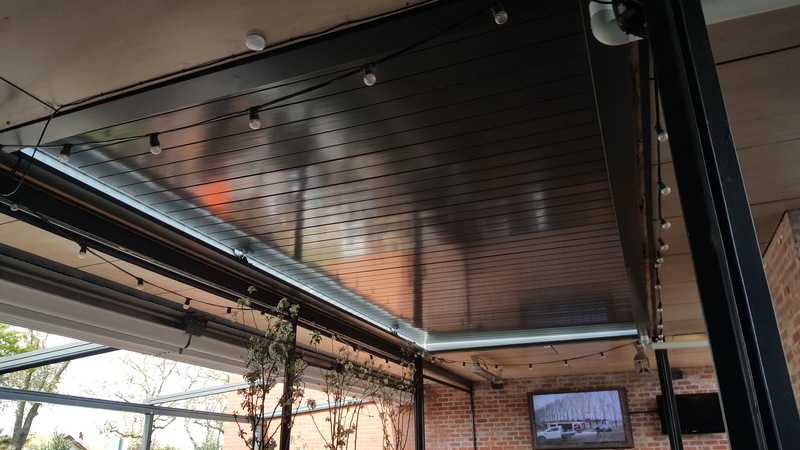 The beauty of these roofs is that you can have them open or closed, or any where in between at the touch of a button. 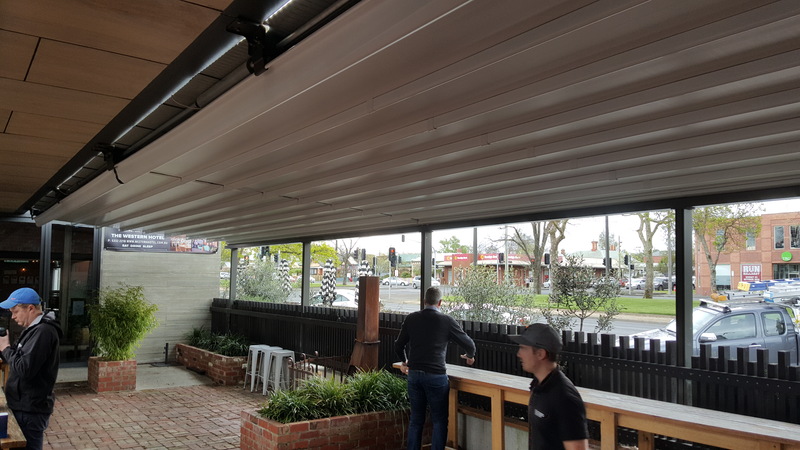 Ballarat is renowned for it’s Arctic winter conditions so these roofs are very much suited to this pub, also rain proofing and protecting patrons from sun in the scorching summer heat. 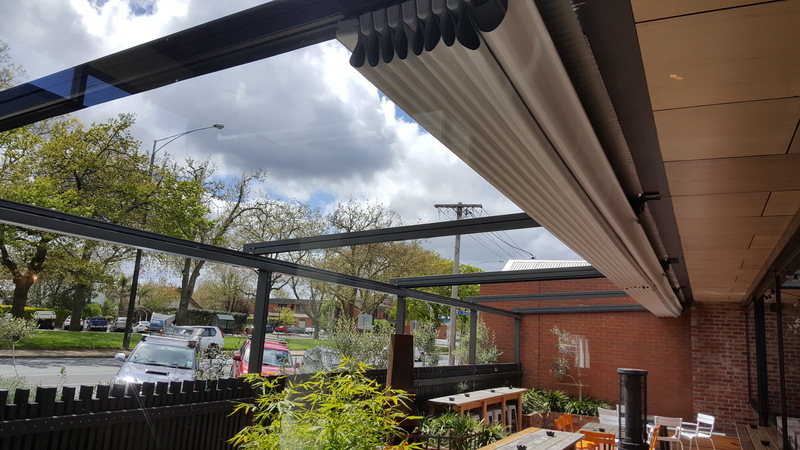 The roofs frame is powdercoated aluminium extrusion complemented by Ferrari 502 PVC skin and Becker Motor to each system. 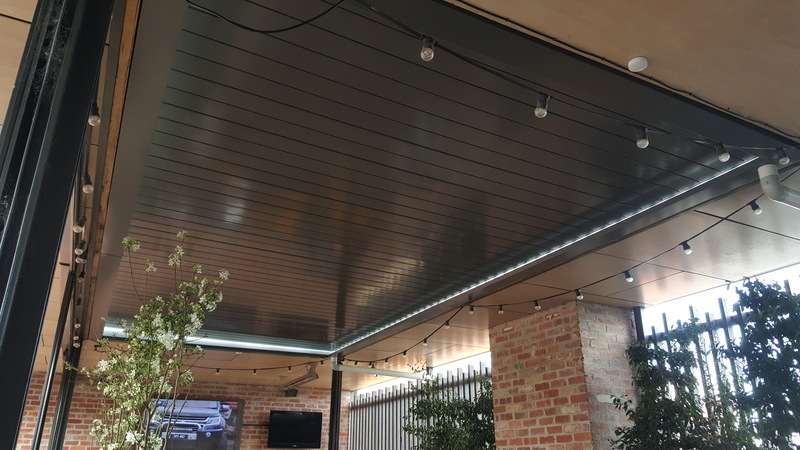 To add icing on the the already stunning cake we installed ZipTrak blinds to face fit the entire length of the beer garden. These watertight blinds are spring loaded and so easy to use. Ziptrak run in tracks on each side and are housed in a waterproof hood. 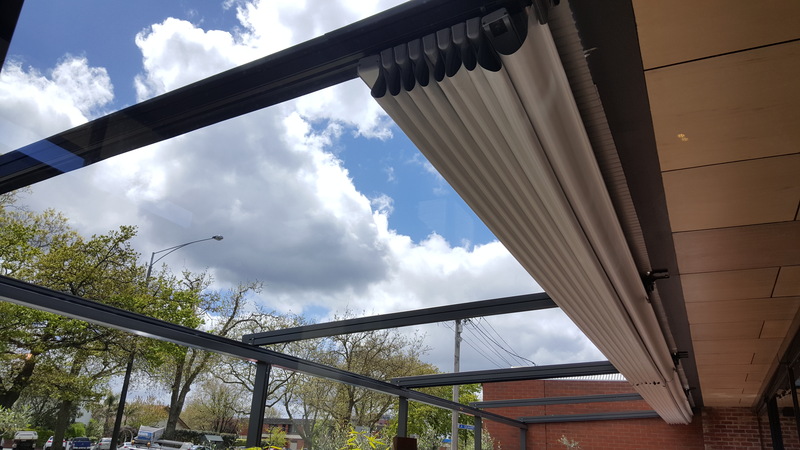 These blinds are completely waterproof and all the aluminium comes powdercoated with the option of motorisation also. 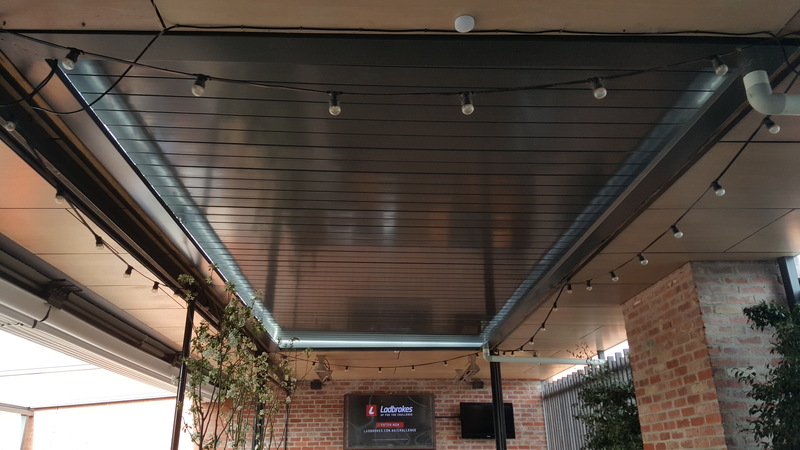 Finally we installed our Superior Operable Louvres to an existing Void space 8m x 3.8m. Orginally they had perspex in the void which did not look appealing and of course didn’t give you the options that Operable Louvres do. 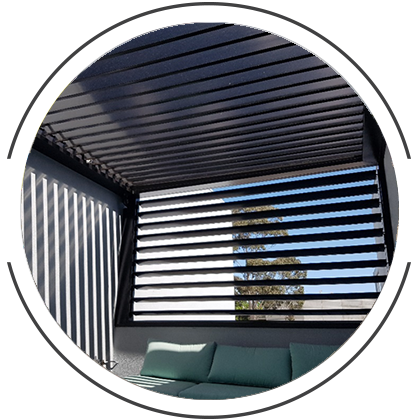 Operable Louvres are watertight when closed and at the click of the button open rotating the blades to wherever you choose. The aluminum powdecroated blades are perfect for this application and add another string to the pubs bow. 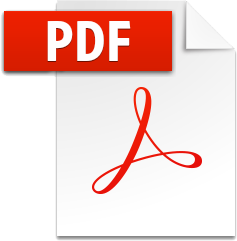 Another successful project completed, SBD and our client are ecstatic with the overall outcome. 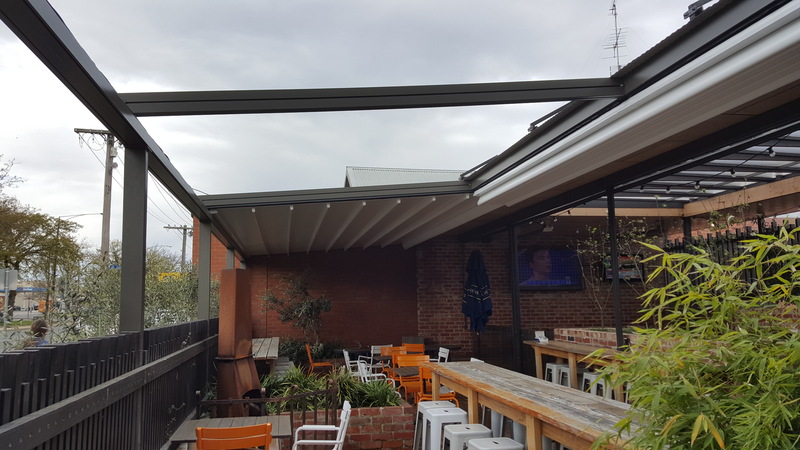 We look forward to having a few cold beers in the new refurbished beer garden with some of the friendly Ballarat folk.